Our look at the anglers competing for the £50,000 top prize at Fish‘O’Mania XXV concludes with a look at those who took the final six spots in Saturday’s Grand Final. A FishO regular in recent years, Power has qualified for the fifth time since 2013 and has had two podium finishes in that time; third in 2014 and runner-up to Jamie Hughes last year. Can the 30-year-old from Somerset finally lift the trophy this year? The two-time UK Champion qualified this year from Boldings Pools with a winning weight of 190lbs 14oz. Oliver is the son of Alan, the five-time World Champion angler who has been representing England since 1993. Oliver makes his FishO debut this year while step-mum Sandra fishes the Ladies match further around Hayfield’s Island Lake. A Gold medallist for England at youth level, Oliver fished the Fish‘O’Mania Junior match in 2005 and 2006 and qualified for his first main event with 114lbs 11oz at Woodland Lakes last month. Shires says making his first FishO Grand Final is his biggest achievement in angling. The Pontefract angler drew peg 167, on Covey 6 in June’s Partridge Lakes qualifier and went about extracting the most he could from the moody F1s he had in front of him. Maggots, maggots and more maggots was Dave’s approach, with which he got the F1s feeding shallow at 8-9 meters. Dave caught his F1s and carp to 3lb in spells, ending up down the margin on maggot for a few later fish. At the scales, Shires had an anxious wait, but eventually booked his place in the final with 142lb 9ozs, just 7ozs clear of the chasing pack. Lincoln angler Dale Whelan drew Lagoon peg 22 at Lake View in June, and his 94lbs 8oz bag stood him 20lbs clear of the chasing pack. The 30-year-old railway inspector was delighted with his achievement after he fished a simple qualifying match fishing across to the island with pellets, taking F1s and carp. Nathan Watson returns for his seventh Fish‘O’Mania after qualifying at Gold Valley Lakes. The Lincolnshire man was FishO champion in 2002, winning at Hayfield Lakes with 39.6kg. In 2010 he also won the one-off ‘Fish‘O’Mania: Champion of Champions’. Watson last qualified for the Grand Final as recently as 2016. Ryan Lidgard took the final spot at the Fish‘O’Mania XXV Grand Final, winning the Lindholme Lakes qualifier with an incredible 323lbs 3oz. He previously qualified in 2016 and had been second in previous qualifying matches. Lidgard had initially been disappointed by his peg on Loco, with Benny’s the lake most were favouring in the final Lidholme qualifier. 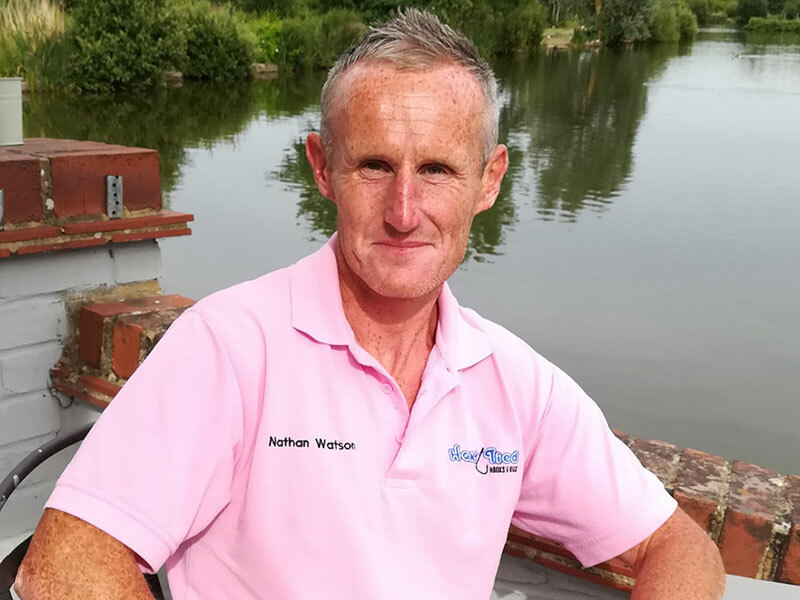 However, a strong start in the sun of the UK heatwave gave the local angler confidence and he eventually won the qualifier by over 100lbs, setting a new Loco Lake record in the process as 25 anglers bagged in excess of 100lbs.